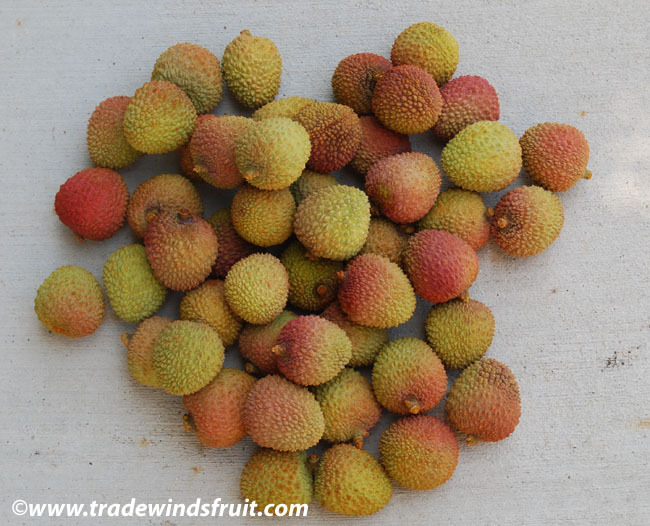 Golf ball sized fruit related to the lychee, with red or yellow skin, having numerous prominent hairs extending from the surface. 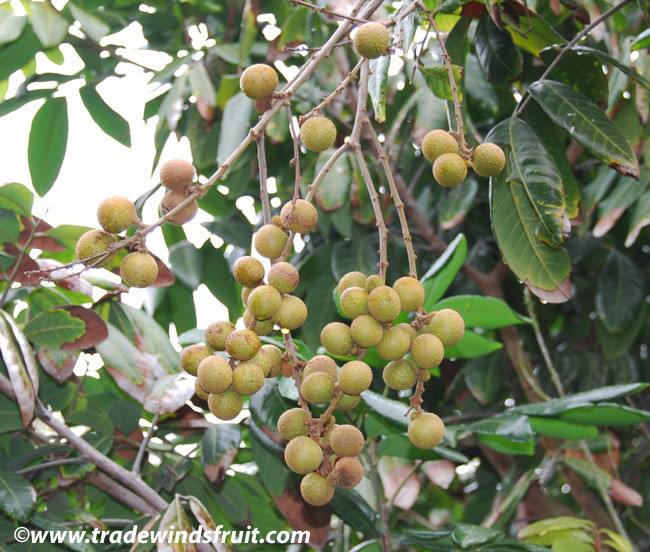 Flesh is translucent, with an excellent sweet flavor, milder than the lychee. Seeds have limited viability and cannot be dried or stored for very long. We usually have fresh seeds available briefly, on and off from May-September. A link to a store order page will appear here if seeds are available. 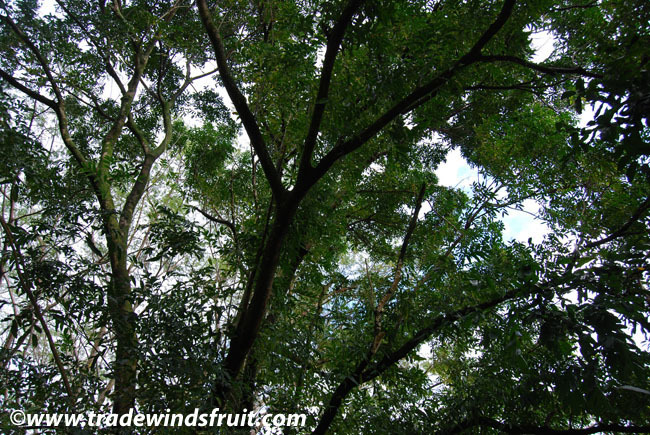 Medium to large sized tree up to 80ft. The rambutan is strictly tropical and grows best in warm, humid, tropical climates, with year round rainfall. Frosts and freezes are lethal. Best varieties are propagated via air layering. Seeds remain viable only a couple of days, and produce more male trees than females. 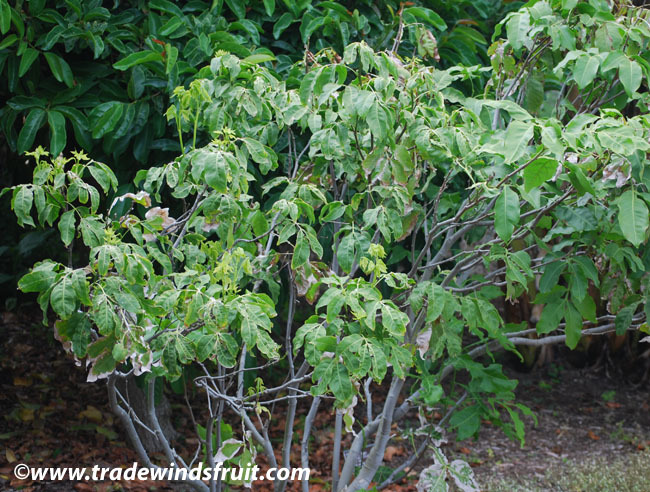 Flowering and fruiting of seedling trees can be highly variable. Eaten fresh. 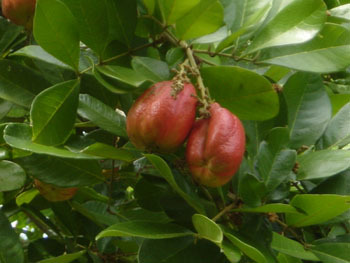 Fruits are also used in a variety of desserts. Native to Malaysia. 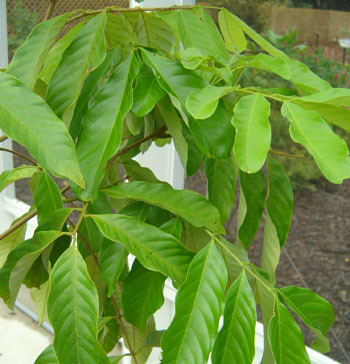 Grown commercially in tropical Asia and tropical America.